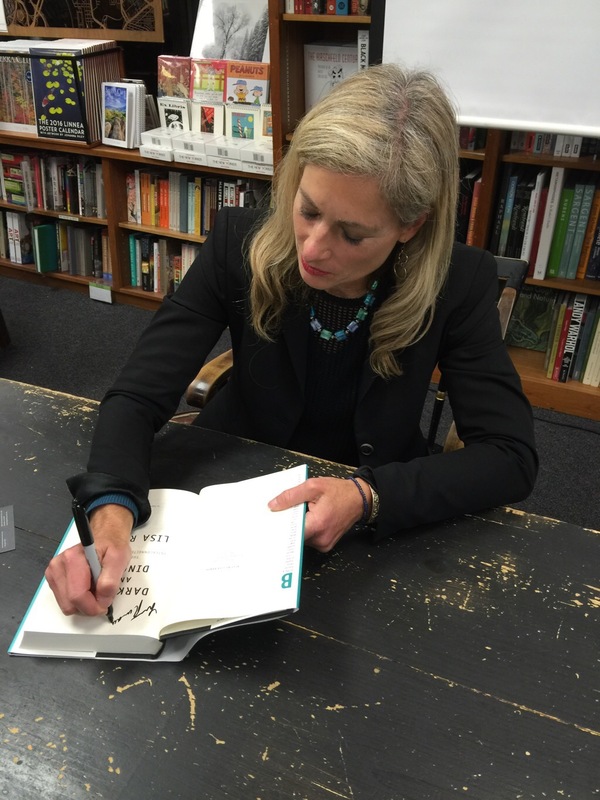 Lisa Randall was at Politics and Prose Bookstore in Washington DC tonight, giving a very interesting talk about Dark matter and the Universe. In her new book, Dark Matter and the Dinosars, she ties in the dinosaurs by speculating how Dark matter may have been responsible for popping a comet out of the Oort Cloud, thus sending it on its way to crash into the Earth 65 million years ago- wiping out the dinosaurs and most life on the planet. Her talk was great; first book tour talk I’ve been to that was like a classroom lecture: she had slides with diagrams, pictures and explanatory text. So easy to follow and really engaging. Her book, “Dark Matter and the Dinosaurs” was just released yesterday. Here she is signing my copy.